If you owned six Booster Gold comics and then bought eight more, how many total comics do you have? If a villain held seven hostages and Booster Gold freed two of them, how many hostages remain? If a villain held four hostages and Booster Gold freed two of them, how many hostages remain? 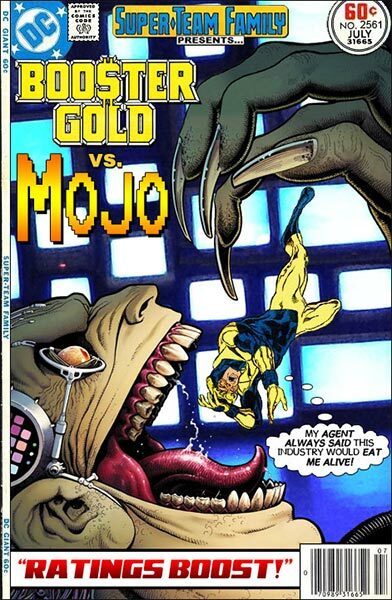 If there were five villains, and Booster Gold defeated three of them, how many villains remain? 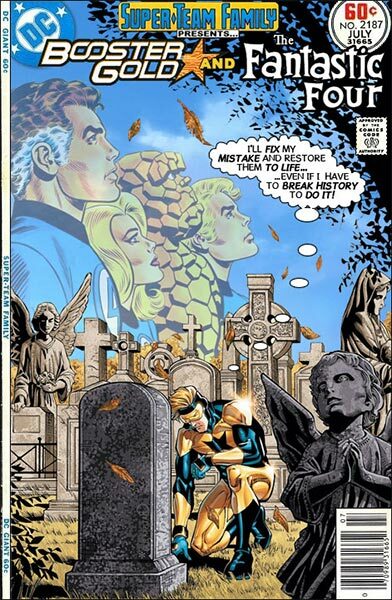 Not so long ago, Erin of Exploring the Time Lab was ruminating on some older comics she wanted to read. Included in her list was Blasters Special #1, which just happens to have been released 29 years ago today. 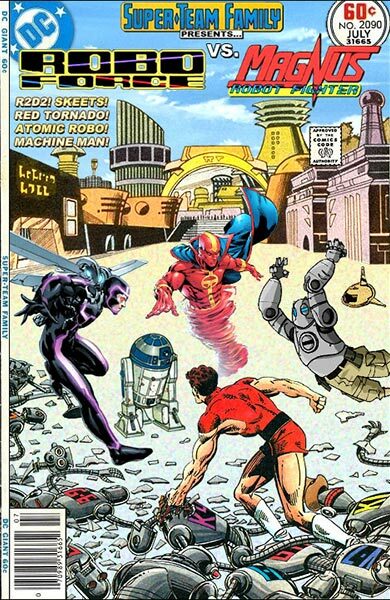 The Blasters were a space-faring group of super heroes spinning out of the Invasion! event. (I always think of them as a second-rate Omega Men.) Their biggest claim to fame was the inclusion of cast-off JLA mascot Snapper Carr, who had gained the ability to teleport by snapping his fingers. Snapper's inclusion in the Blasters was short lived (as were the Blasters themselves: their entire career was limited to Invasion, this one shot, and a couple of issues of Valor). 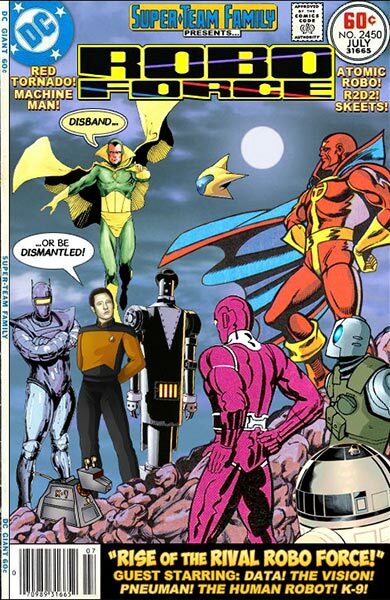 Snapper would eventually move on to support the DC One Million-incarnation of Hourman in his own title. 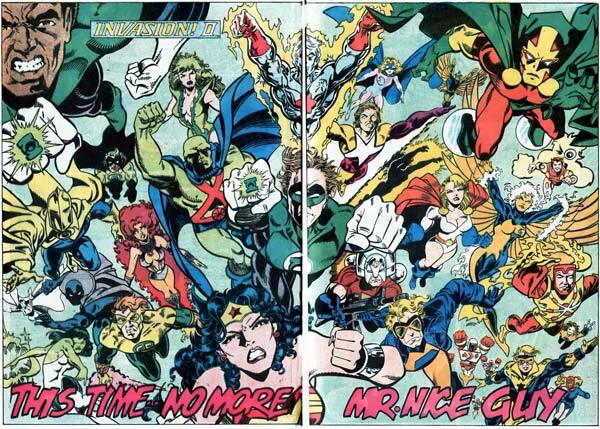 So far as Booster Gold is concerned, his brief cameo in Blasters Special is limited entirely to the two-page spread pictured above. 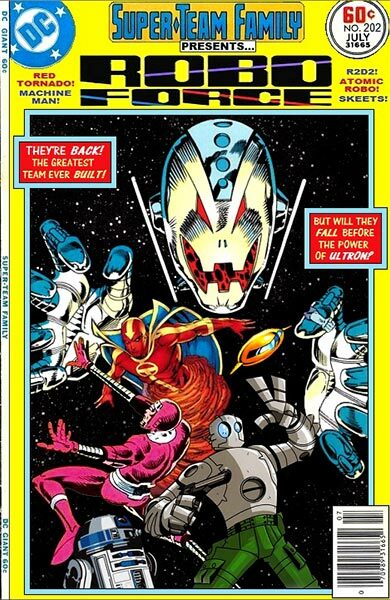 Of special note is the fact that this is the only time to date Booster has appeared on-panel with lesser known DC Comics heroes Brother Power the Geek or Shade the Changing Man. Oddly, Booster Gold wouldn't appear on panel with any of the Blasters until 2007, when he finally crossed paths with Snapper Carr at the wedding of Green Arrow and Black Canary. There you go, Erin. Now you know what you've been missing. 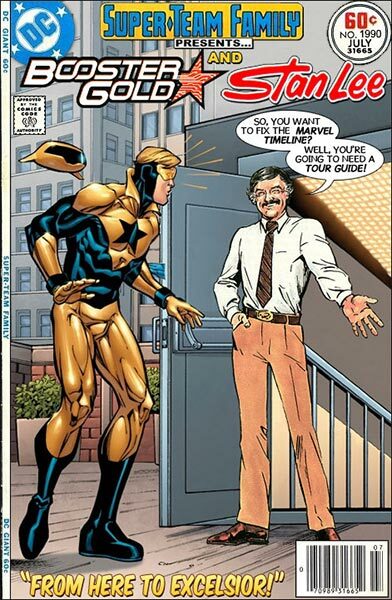 If Booster Gold gave two news interviews and then gave eight more, how many interviews has he given in all?